The writer meets one of the worst enemies of bathing in the wild in the travelogue, ‘In Trouble Again’ by Redmond O’Hanlon. What was your worst fear when you were a child bathing naked in a river or a pond teeming with fish? The moment I think about it my hands hurry down to cover my crotch. Some childhood habit we all share. We loved fish. But we wanted the nibbling, gnawing and chomping water bastards only in fish tanks or in plates (fried or smoked), not in that particular slab of river we were dipped. The sight of big schools of fish ominously jazzing around our privates as we took bath always gave us that niggling sensation. We feared the worst. But then we grew up; we left behind such irrational fears realizing that fish prefer and deserve better food and entertainment. Now wipe that nostalgic smile off. The terror is coming back. Many of us have a tendency to abandon ourselves when we see a wild pond. Especially when drunk. A stomach filled with beer and cold wild waters go hand in hand. We jump into the river the moment we see it. If the bladder is full, the water cold, and nobody is watching us with waterproof cam from under, there is every chance we relieve ourselves in one weak moment. But nothing goes unclaimed, unnoticed in nature. A ‘candiru’ or the toothpick fish, if present in the river, picks up the signal of ammonia, excitedly rushes towards the mouth of the urine stream, taking it to be oozing out from the crimson gaps behind the gills of a bigger fish it usually feeds off. Now enjoy being the host to one of the most hazardous guests in nature. Once the candiru burrows deep into our thin urethra, it settles down for a royal feast of blood. The spiny fins burst open like an umbrella exploding our urinary bladder into smithereens. The sucker starts siphoning off blood with its fins drilled deep into the thin walls of the urethra. The pain is unimaginable. The trip to the hospital will be one pilgrimage. Once there you scream at the doctor to do something to help you stop the screaming. If you are a man, the only solution is to get your manhood hacked off. If you are a woman unimaginable horrors wait for you at the operation table. The poor surgeon also has no other option. 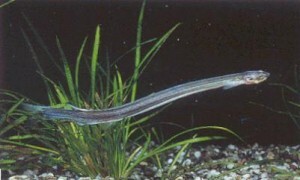 And if you find relief in the fact that candiru is present only in the Amazon jungle, you can be wrong. Friends, I read sometime back in a newspaper an alarming report about a new hobby among our people to import the ferocious flesh-eating piranha fish to the domestic waters. The report discusses about the fallouts if a few of them spill into our rivers. In no time, bathing in the open would become a horrifying adventure. Our backwaters and rivulets become bloody battlegrounds. That is the case with piranha. Now imagine. What if somebody has already introduced a school of candiru to that one river, you have decided to plunge into, and abandon yourself? What if in a guardless moment you relieve yourself without knowing that a few of them are passing by a metre down the opaque water where you are now standing? Is Amazon river safe for a swim as long as we don’t pee? Yeah, Aswathy. It takes a lot effort not to pee when you are filled with beer. Which geographical area of the world does the candiru exist? Amazon river. Which geographical area of a human being does the candiru attack? The article answers that. Yeh!! I hope it doesn’t exist any where else other than the amazonian region. Syamnath, yeah. There is an xray pic of a Candiru stuck in the pelvis of a human being. It is somewhere online.